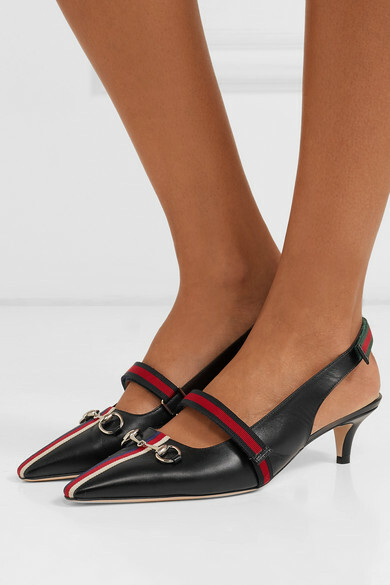 Slip on Gucci's ladylike pumps and you'll look instantly put-together. 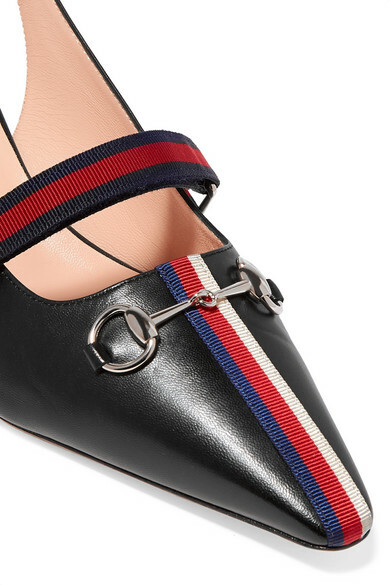 Crafted in Italy from supple leather, they're decorated with grosgrain stripes and a silver horsebit - a signature detail usually found on the label's classic loafers. 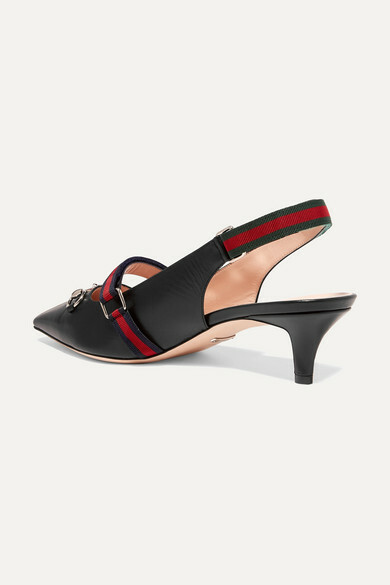 Style yours with indigo denim and a silk shirt. 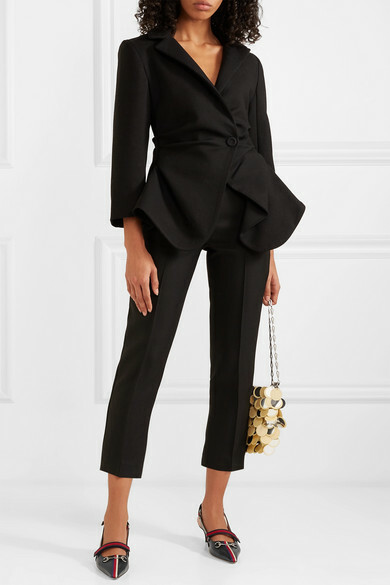 Shown here with: Jacquemus Blazer, By Malene Birger Pants, Paco Rabanne Shoulder bag.